Shilo has shown in her osteoarthritis with low-level laser therapy. 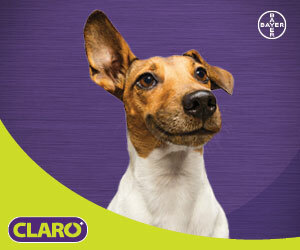 Shilo suffers from osteoarthritis in several joints–in particular the left stifle and the right tarsus (hock). As a result, her gait is not normal, and this has caused compensatory pain her back. 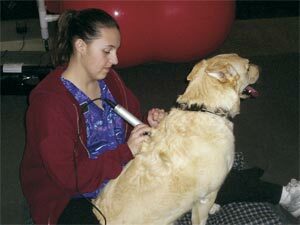 In this photo, Shilo is having the painful areas of her back treated with low-level laser therapy. 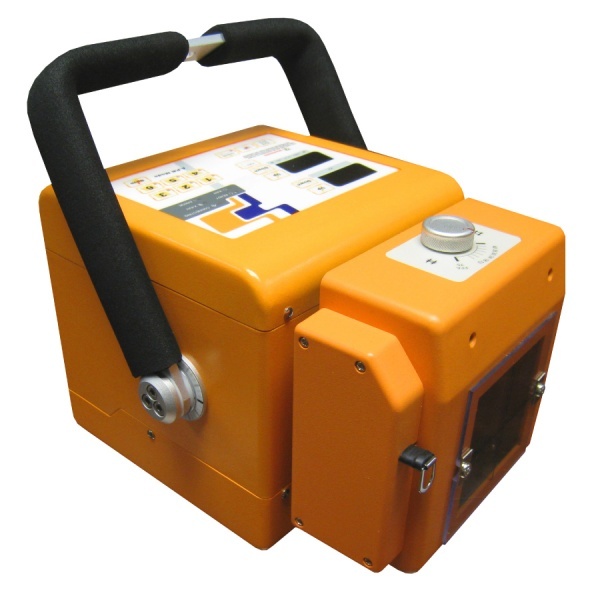 We are delivering 4J/cm2 of energy using a Respond (TM) Class IIIb laser. 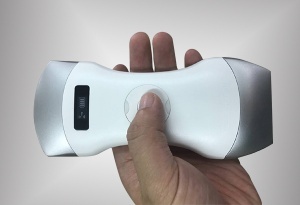 The laser probe output is 500 mW with a 904 nm wavelength and we are using a pulse frequency of 585 pps (Hz).